Orient Holdings offices to let consist of 24,000sq feet of office space, spread out over three storeys and fully refurbished to provide an excellent business centre for our clients. 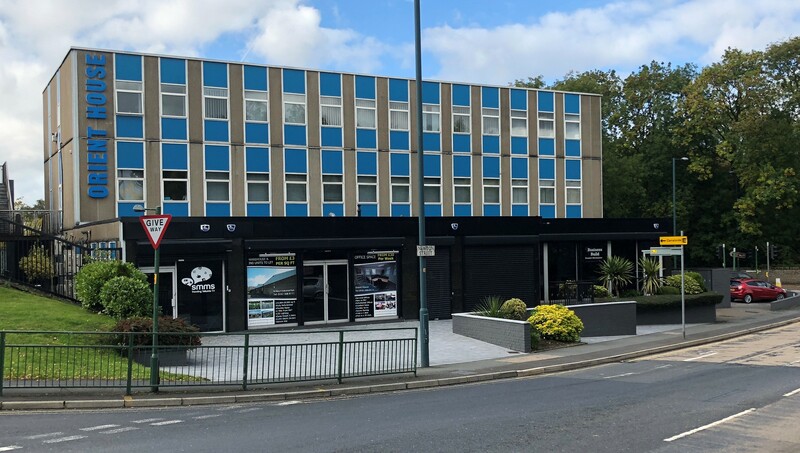 Since being formed in 1987, Orient House business centre has been providing serviced offices, virtual offices and meeting/boardroom facilities to local businesses throughout the Tameside, Stockport and Oldham areas. Our aim has always been to provide business support and a pleasant working environment, both of which are delivered to a very high standard, and the fact that we work so hard has helped us to establish and maintain a reputation for excellence and value for money. We provide first-rate office space to let near to Manchester, offering flexibility and value to businesses of different sizes, equally suited to start-ups and established companies alike, delivering the facilities required at a highly competitive rate. Our location, to the east of Greater Manchester, offers excellent transport links for the Tameside area as well as the wider North West and the UK as a whole. We are situated adjacent to junction 3 of the M67, which is 1 mile from the M60 ring road. Manchester Airport is 14 miles away and Manchester Piccadilly train station is just 20 minutes’ drive away, making this the ideal base for businesses with a national or even international outlook. We are also just 3 minutes’ walk away from Hyde town centre, and with it the local train station and several major bus routes. All of our offices have internal and external CCTV cameras, electric gates, an electronic GSM entry system, and secure car parking is also included in the overall price.